I can already tell she will be wearing nothing but dark colors… which is interesting! 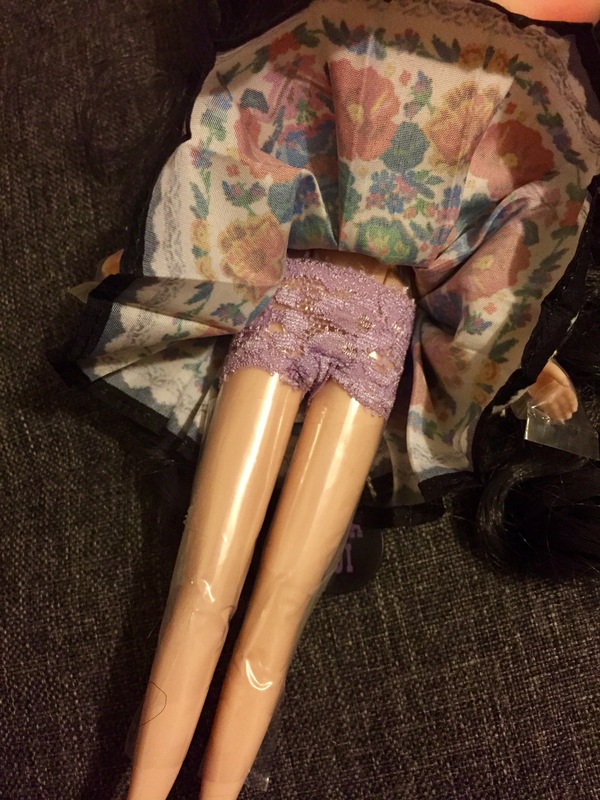 I don’t think I have another doll where I feel compelled to strictly dress them in black. XD I got as far as the parking lot today. I’m feeling super duper lazy, and pretty bummed that it’s already Sunday afternoon. 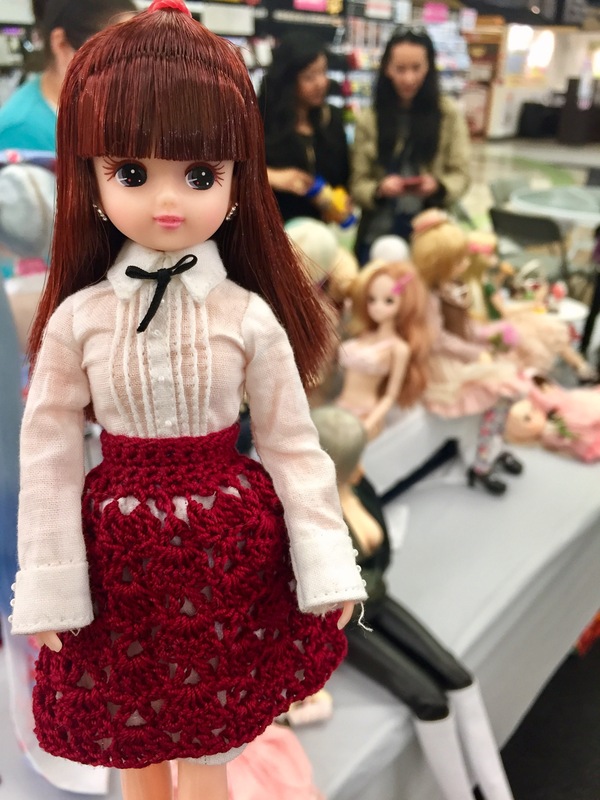 I went to a doll meet today (40 scary minutes on the freeway D:), and it was an experience. 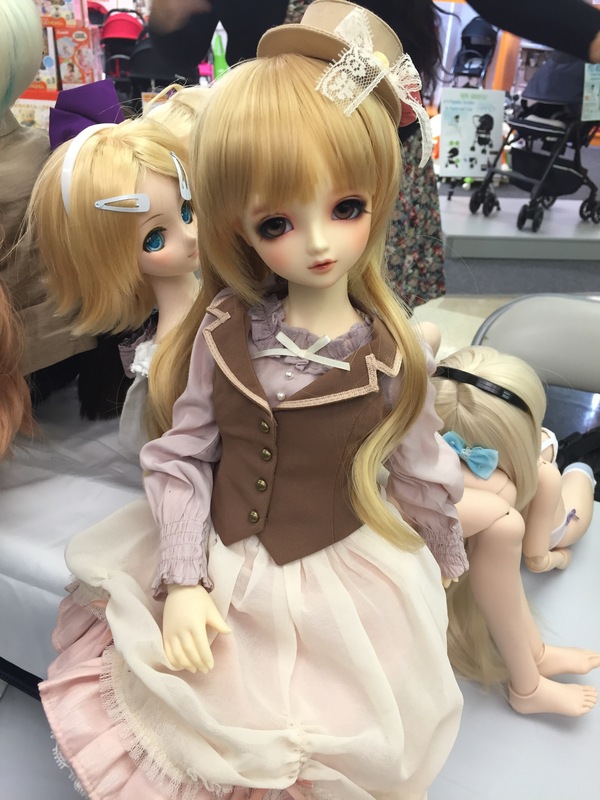 The breakdown was like 90% BJD or Dolfie Dream, 8% azone, 2% other. 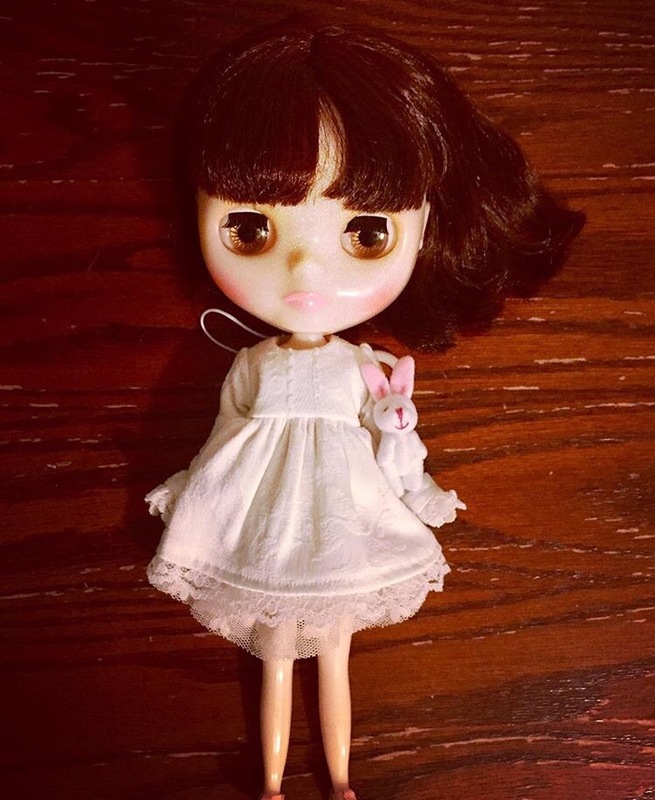 My dolls were the 2% other. 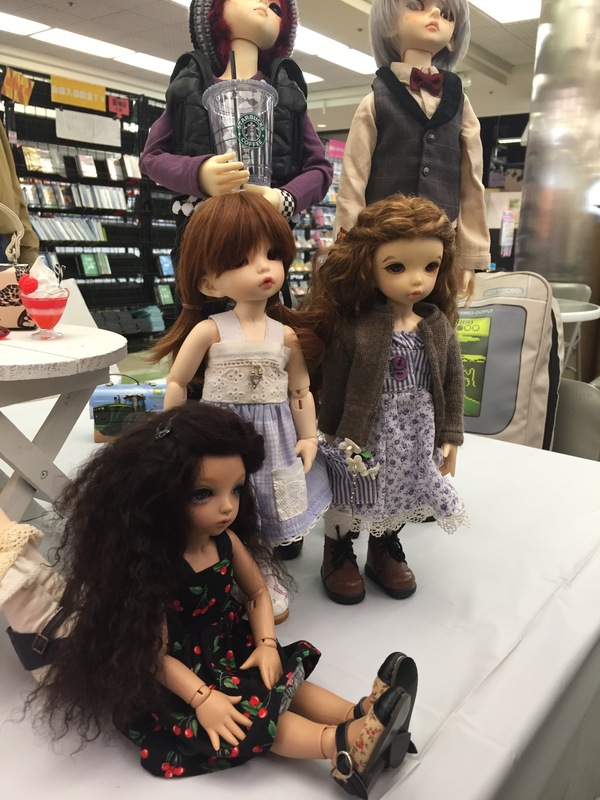 I brought Finley (my Chantilly Lace custom Cadence Majorette), Elowyn (Cherie Babette), and Mikan (one of my liccas), and I kind of felt like the lone stamp collector in a large group of coin collectors. 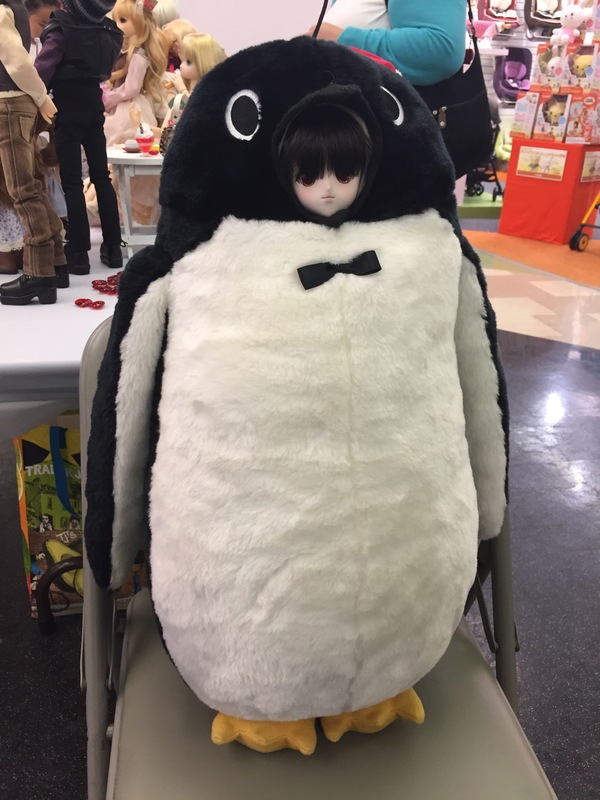 XD I felt like I showed up to the wrong meet up. The people at the meet were really nice and welcoming. I just felt a bit out of my element. 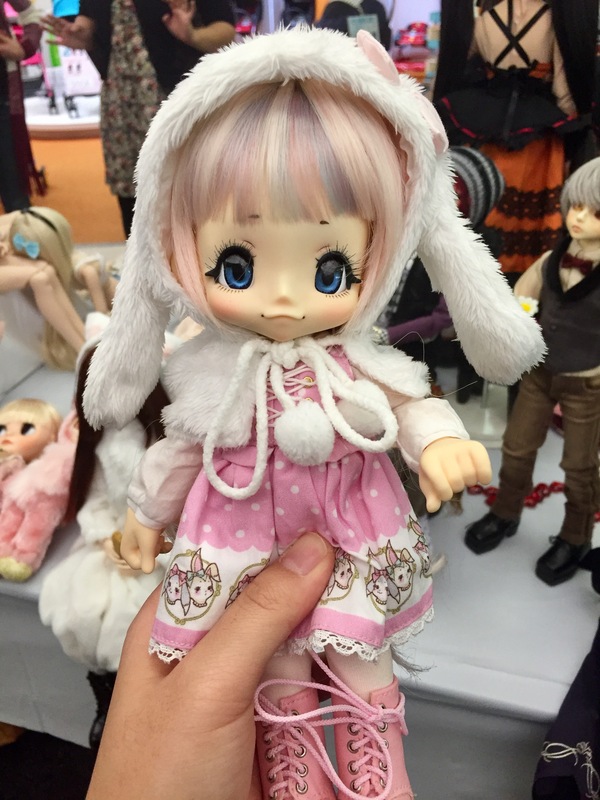 My favorite doll I saw today wasn’t a bjd, but an Azone Kiki pop! 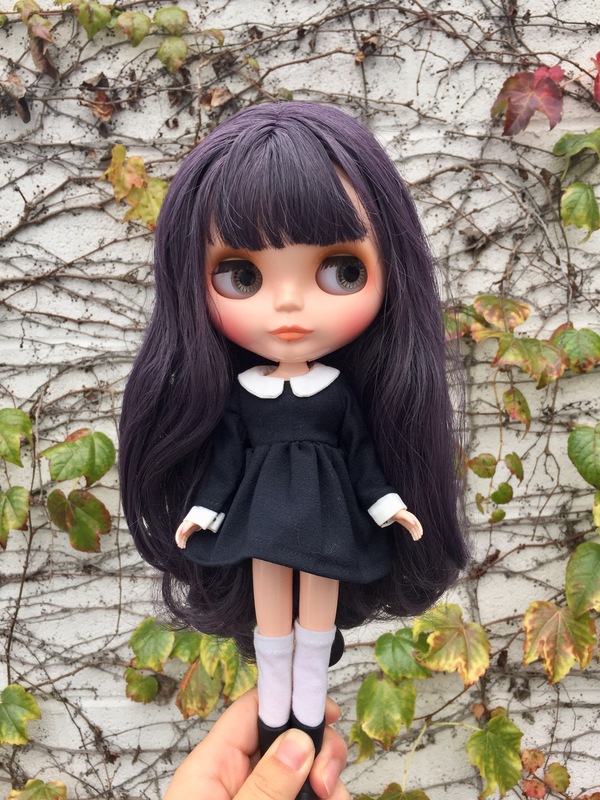 I prefer Blythe because of the scale, and just how not serious they are. 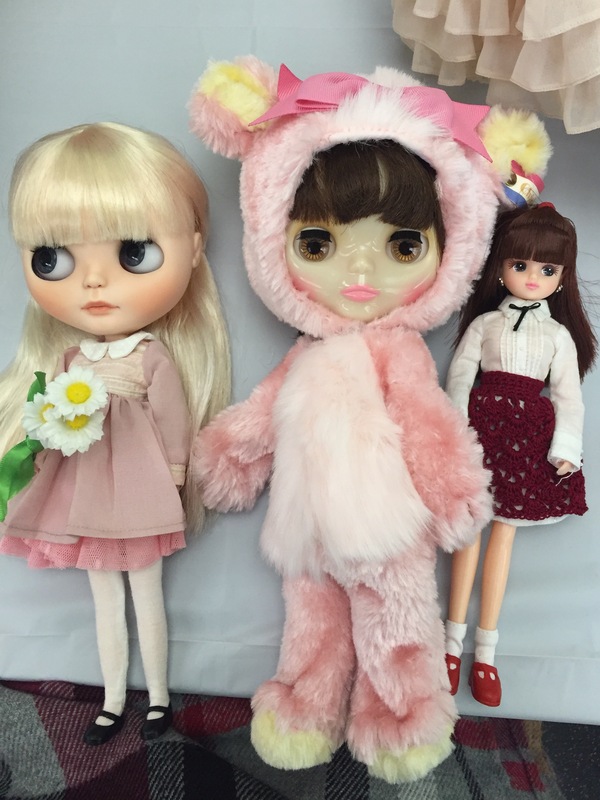 They’re lower maintenance and they look like toys (in varying degrees depending on how customized it is). 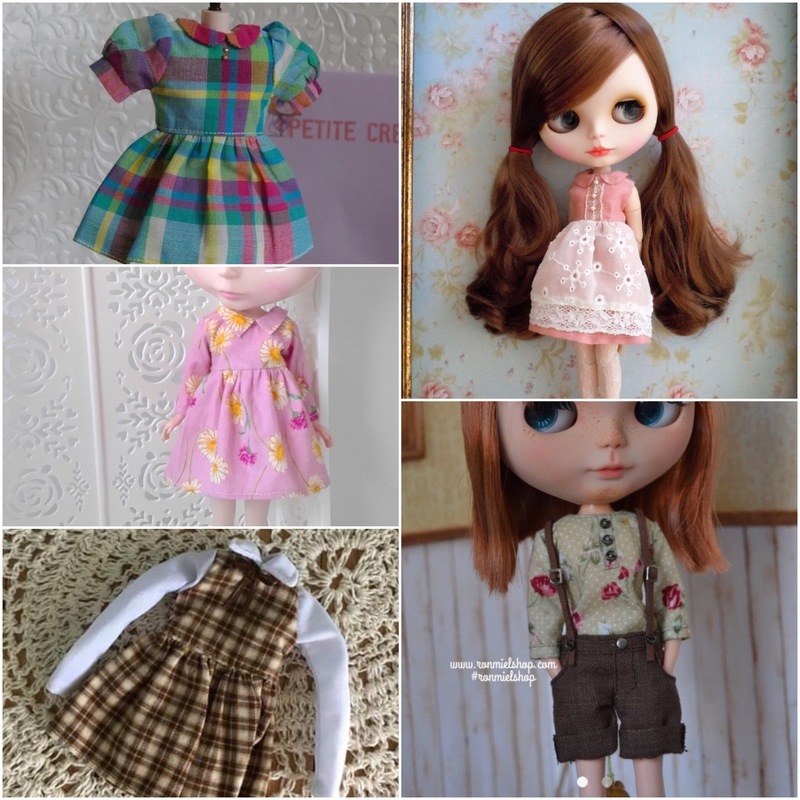 I do have a fascination of bjds and how much work goes into them, but (for now) it’s an “admire from afar” type of thing for me. 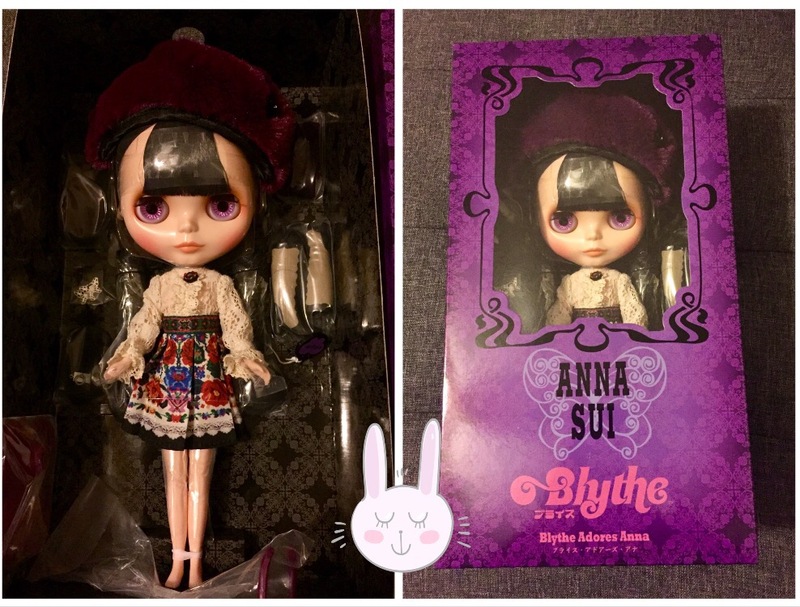 I entered for funsies, and I wasn’t particularly emotionally invested with the desire to own this doll (I liked Anna Sui more when I was younger than now, but I still think the aesthetic of the brand is quite pretty in a dark way). Imagine my surprise when I found the invoice in my email! Seeing how special she was kind of cinched the deal for me. 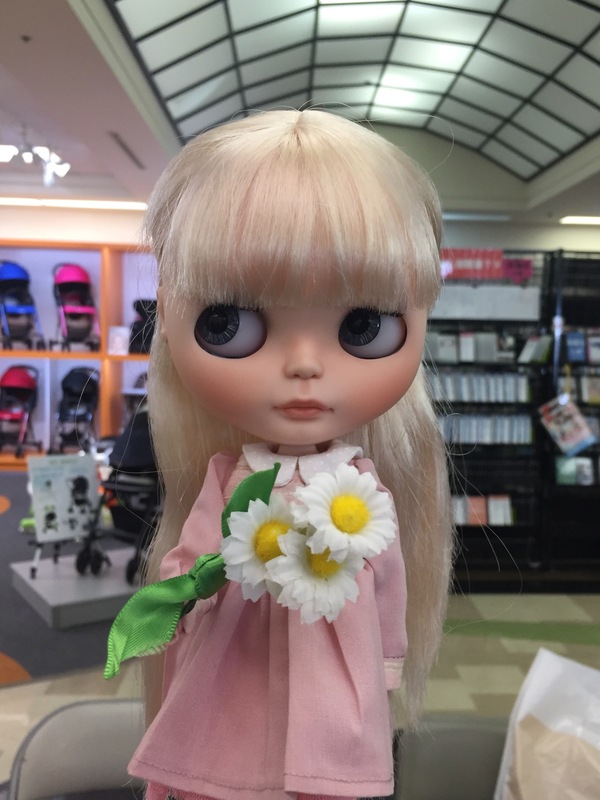 She’d also fulfill my desire for a blythe with all special chips!! 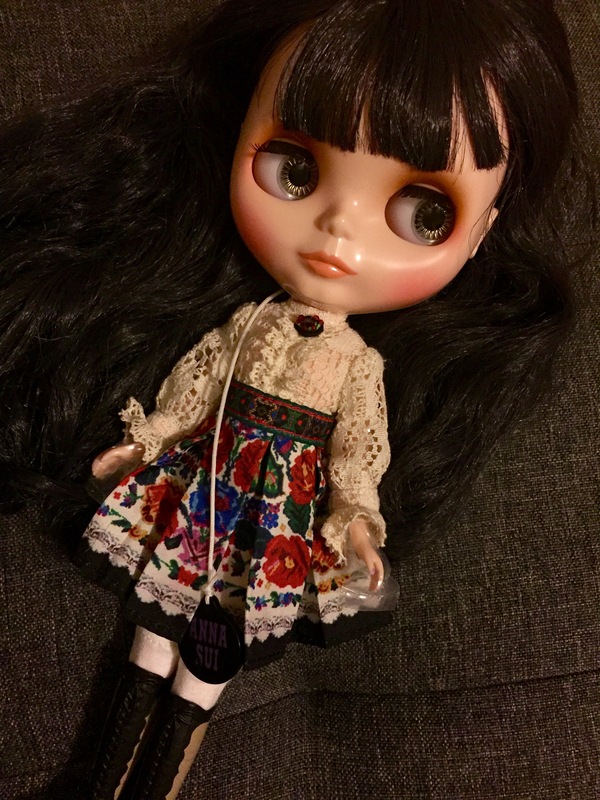 So I kind of veered from my original 2017 doll goals, But that’s ok because it was bound to happen. 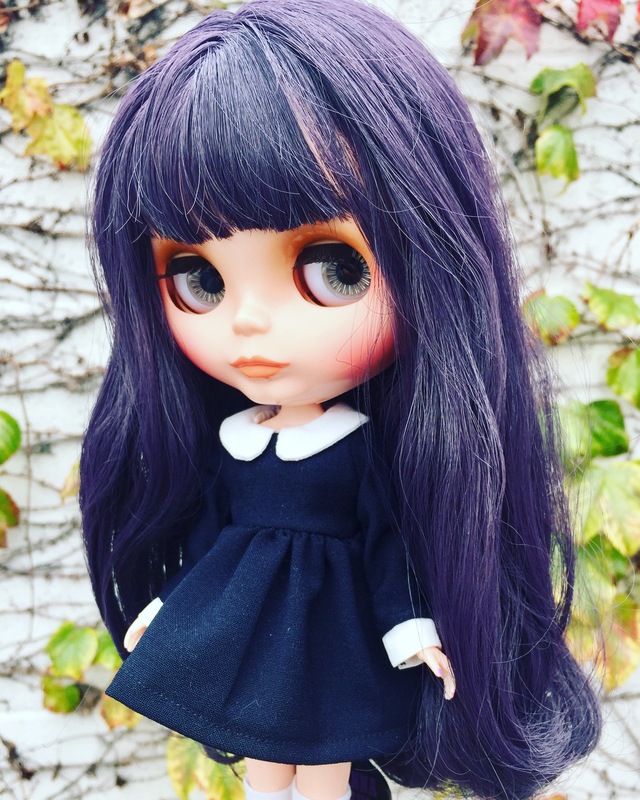 Whenever I would see a Royal Soliloquy for a price under $190, I was always sorely tempted.spesking of which, it would have been cool if this girl had winged liner. 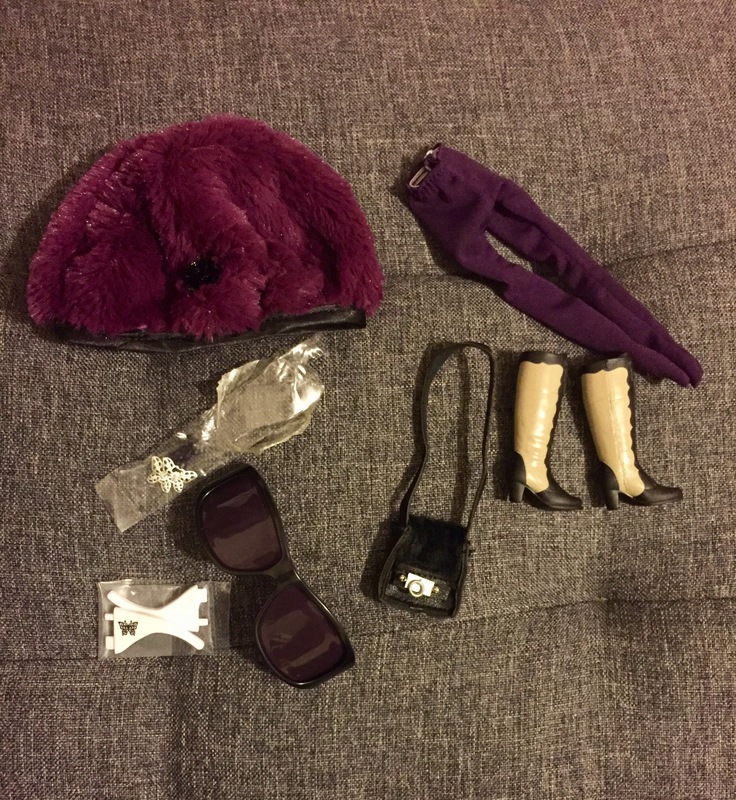 She has amazing stock (I haven’t attempted taking it off… I’m pretty sure the clothing is a one piece and not two), really nice knee high boots, a soft fuzzy hat, earrings (which I’m not sure I’ll put in), sunglasses, and a purse… also, upgraded underwear! I’m really glad my girl doesn’t have any manufacturer flaws. Photos had been popping up on Facebook of owners whose dolls had wonky eyelashes or even scratches in the makeup. 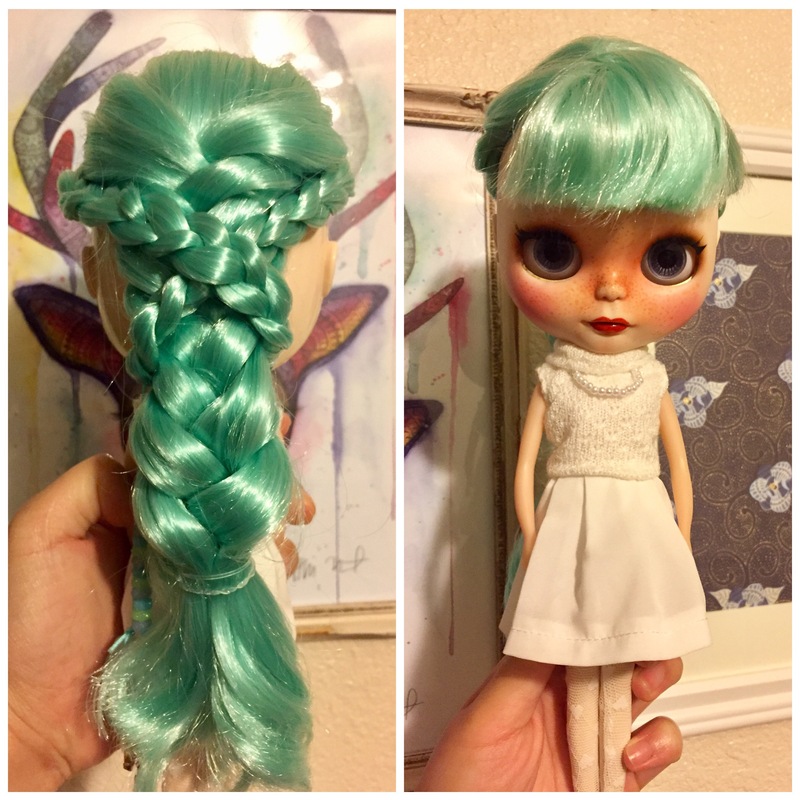 My girl only had some hair issues, and will be getting a spa this weekend along with Marina and maybe Elowyn. 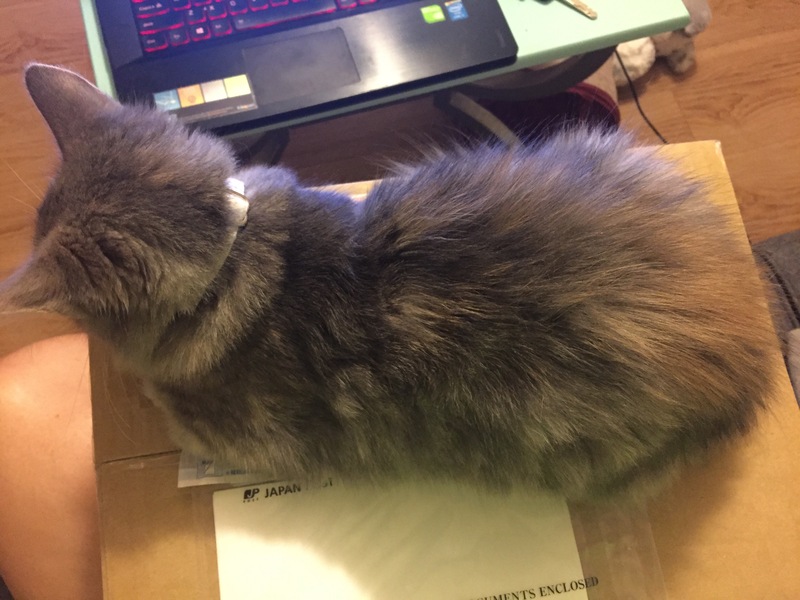 I can’t even debox without a cat getting involved. Elowyn in a dress by Sleepforever and a minijijo tutu. I’ve owned Elowyn, my stock Cherie Babette, for almost a whole year. She was released on my birthday, and she’s the first and only translucent FBL, which is one of my favorite molds. 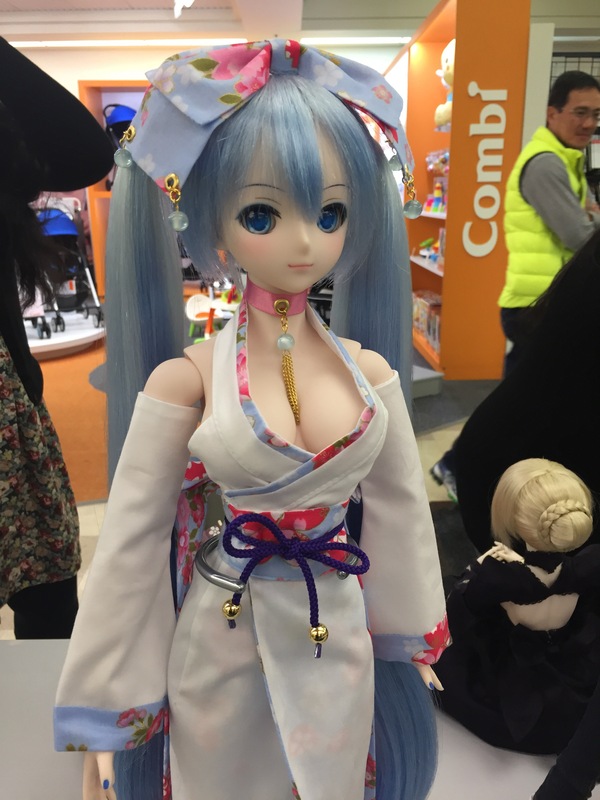 Even after a whole year, I still don’t really know how to dress her or what about her makes her more than just a plastic doll to me. I guess I haven’t really “bonded” with her, as sometimes I look at her and I’m underwhelmed. I’m still not sure about her. Though the thought occurred to me, maybe I just prefer fantasy haired girls!